I couldn't possibly stay away for lemons for too long. And I'm happy to say that they rebounded quite well in this recipe. 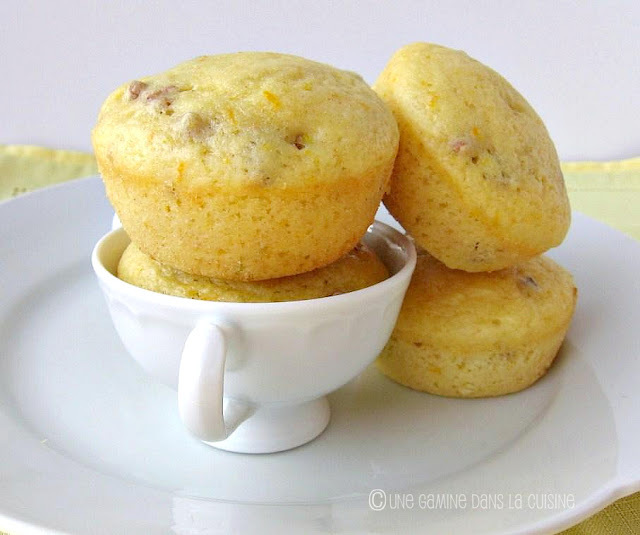 These muffins match the mood that everyone seems to be in now that Spring is on the way. They're perky, hopeful, and full of promise for the coming day/season. As opposed to my usual late-winter sulky persona (this year it was almost as bad as my angsty, brooding, door-slamming preteen phase.) I'm just so happy that the long months of winter are Finally coming to an end! This weeks Tuesdays with Dorie recipe was chosen by Lauryn, of Bella Baker. The muffins are actually supposed to be citrus Currant sunshine muffins, but I didn't have any currant, raisins, cranberries (sad), or any other kind of tiny, wrinkly fruit. But the pecans added a nice little crunch to the soft texture. These are perfect to make, freeze, and thaw out the night before, for deliciously fast breakfast. For the recipe, please hop over to Lauryn's blog by clicking here! they look gorgeous! I love lemon too! Yum! I LOVE lemon -- reminds of spring and summer! Your muffins looks fabulous, and the addition of pecans sounds amazing. An extra little crunch is always welcome. Great muffins and your photos are too cute. Love the tiny cup! Yours look great! I think everyone needed a bright sunny muffin to lift us out of winter blues. I love that yours had some crunch to them, they look perfect! i love your new layout too - and new domain name??? Love the shot of the muffins in the tea cup. These were perky little things, weren't they? pecans sound like a good substitute! can't wait for spring!! The muffins look great, Valerie. On a side note, why have you left the comments area without a white background? It gets sort of hard to read. Just a suggestion? i bet they are fab with pecans. your muffins are certainly the color of sunshine! Yours look gorgeous! They make me want to bake them again. Lovely sunshiny goodness! I really wanted to make these, but I have been taking March break a bit too seriously. Beautiful! What a wonderful way to usher in spring... almost! They're exquisite looking. And pecans... great substitution! Happy Spring! 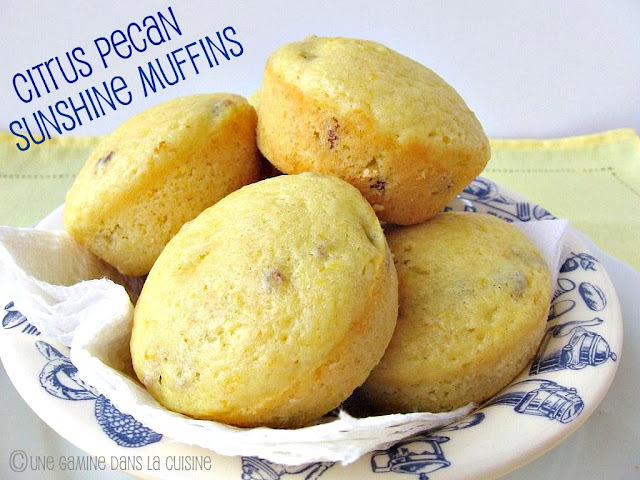 I love muffins, and I've had my eye on this recipe. I'm looking forward to trying it out! Valerie - there is something about the delicate colour and shape of these tender muffins paired with the white teacup that is just perfect. Quiet, understated and very, very pretty in a subtle manner. They seem like the perfect accompaniment with tea and just the art of the colours and the shapes and the placement is peaceful and satisfying today.